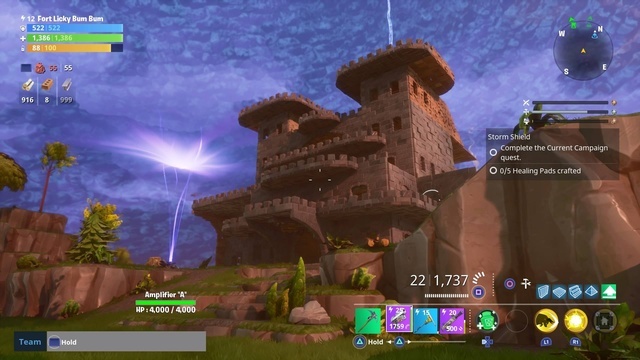 Building in Fortnite is considered an important skill to complete the game. Construct the best structures: walls, floors, roofs and stairs. Fortnite has three types of materials which can be used to build: Wood, stone and metal. Destroying things with a pickaxe like walls, trees, rocks and cars you get material. 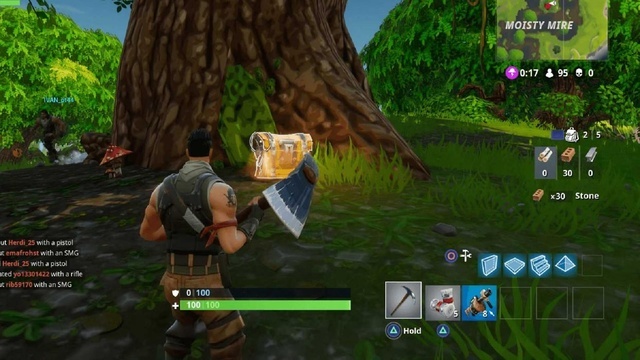 You can also find materials in chests. Use materials according to the situations for example wooden structures aren't stronger enough but they are the quickest to construct. Select "Q" to go to the building menu. 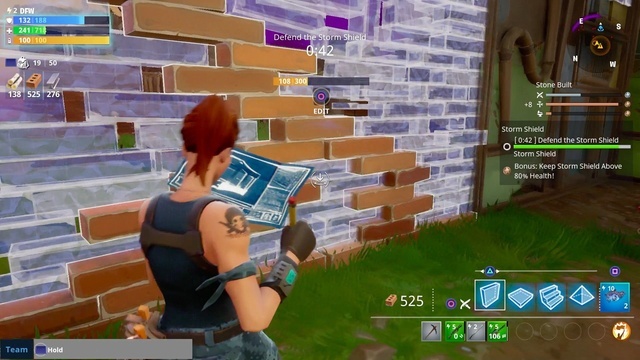 Use "F1", "F2", "F3", "F4" to selecta a building options such as ramps or walls. Place traps on any flat surface with "F5". Right-clic to cycle through the materials. Edit any structure with "G" button. You can also add doors, ledges and more. Rotate a structure with "R". Circle: Open the building menu, hold circle to edit a building piece. Triangle: Press to cycle the building piece. Square: Tap to pick a trap, tap/hold to interact, and hold to jump into trap inventory. R2: Place building piece or trap. L2: Equip targeted building piece. Right Stick: Enter to edit mode and reset your building edit. B: Open the building menu, hold circle to edit a a building piece. Y: Press to cycle through the building piece. X: Tap to pick a trap, tap/hold to interact, and hold to jump into trap inventory. RT: Place building piece or trap. LT: Equip targeted building piece.